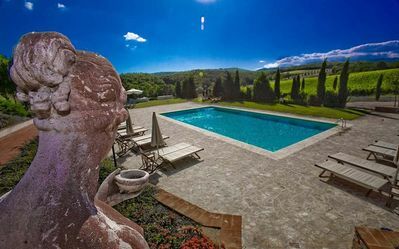 Magnificent Medicean villa, nestled among pastures and vineyards, situated near Bucine, in the province of Arezzo. 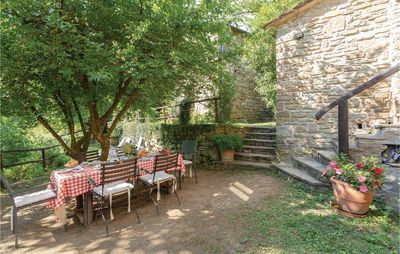 The property, carefully restored, boasts a dependance (with separate entrance) and a beautiful Italian garden, spread over two levels and surrounded by the Tuscan countryside. The upper garden is characterised by a path of plane trees (starting from the entrance gate), a small private church and a panoramic terrace with comfortable gazebo and dining table, ideal for pleasant alfresco meals. From here you can admire stunning views over the Chianti hills. 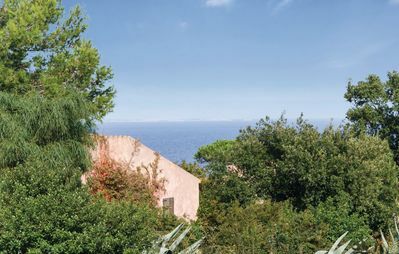 The garden below features a loggia, the dependance and a lovely private swimming pool, equipped with showers, parasols, sunbeds and laundry (with washing machine). Moreover, at guests' disposal you will find a tennis court. 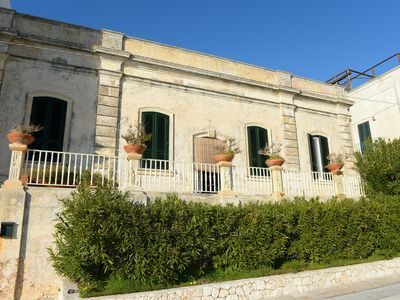 The villa (1.000 sqm), spread over 2 floors and composed by the main building and a dependance, can accommodate up to 14 people for a total of 7 bedrooms and 8 bathrooms (including 1 toilet, 6 with shower and 1 with bathtub). Ground floor: We are welcome by a cosy entrance hall with wardrobe and a large kitchen, fully equipped with oven, refrigerator, microwave, toaster, dishwasher, a useful pantry and fireplace. 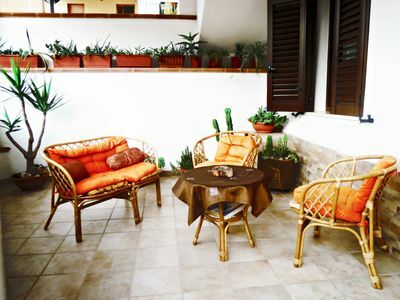 The kitchen leads directly to the adjacent terrace with gazebo overlooking the swimming pool. Following a courtyard and a dining room with long wooden table, also facing the pool. The spacious living room consists of three different areas: a piano room, a TV lounge (with satellite TV) and a fireplace room, all furnished with comfortable sofas. A guest bathroom makes the rest of the floor. 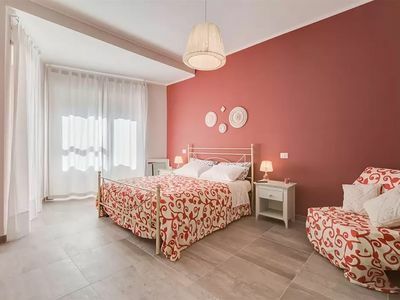 First floor: This floor, enhanced by dark wooden floor, is dedicated to the sleeping area, consisting of six large bedrooms, tastefully decorated and all equipped with private bathroom. 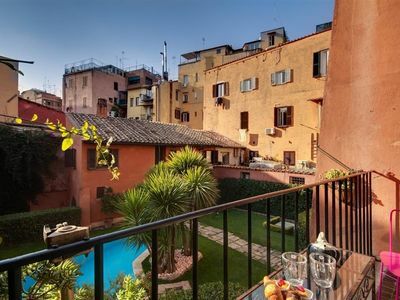 The dependance, located next to the pool area and the loggia, has its own separate entrance and is made up of a bedroom (with 2 single beds) and a bathroom. Included free Wi-Fi throughout the main building. The dependance and all bedrooms are equipped with air conditioning. Pets are not allowed. 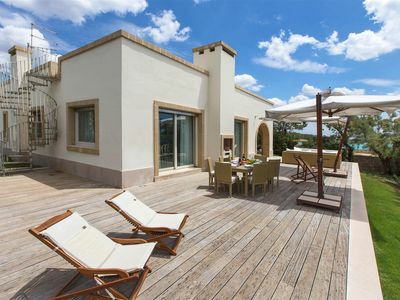 Luxury villa with country-chic atmosphere, elegantly furnished and equipped with all amenities (swimming pool, air conditioning, satellite TV, Wi-Fi Internet connection, tennis court). 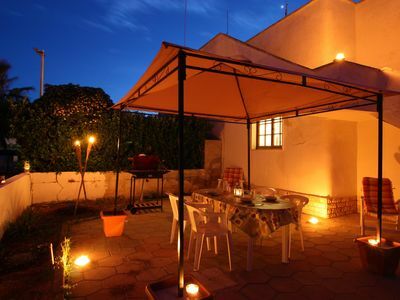 Ideal accomodation for families or groups of friends who wish to spend a holiday in the heart of the Tuscan countryside. 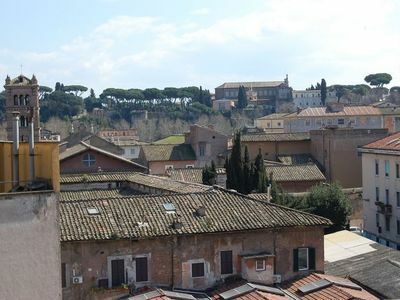 The property is, in fact, perfectly located between Siena, Arezzo and Florence, bordering the Chianti Classico area. 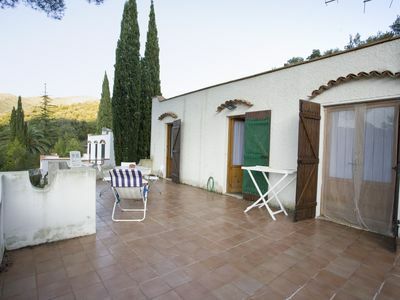 This property can only be booked from Saturday to Saturday (except in low season where the minimum stay is 3 nights). 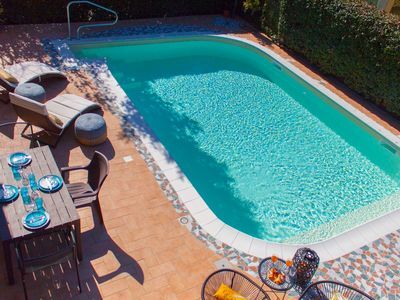 Included in the price: Park pool and house maintenance; utilities (gas, water, electricity, except for the heating); air conditioning (6 hours/day with timer); welcome pack; wood; use of tennis court and swimming pool; Wi-Fi Internet connection. Excluded from the price: Final cleaning (500,00€); extra cleaning on request (20,00€/hour); heating (70,00€/day up to 12 hours/day); city tax (1,50€/day for a maximum of 2 days, only over the age of 12). 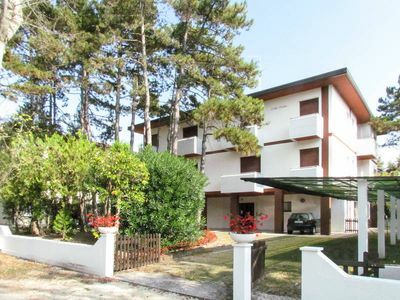 Villa Ambra is located in Bucine, a small village in the province of Arezzo, in the heart of the Valdambra valley. 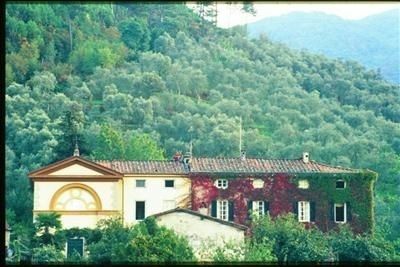 The latter is one of the most beautiful valleys of Tuscany, crossed by the Ambra stream and placed on the natural boundary with the mountains of Southern Chianti, in a strategic location, right in the centre of the triangle formed by the cities of Arezzo, Florence and Siena. Rich in woods, vineyards and olive groves, the Valdambra valley is characterised by little hamlets with ancient walls, forts and castles, but also rural buildings and farmhouses, which still preserve the rural flavour of the Tuscan countryside. The proximity to the Chianti Classico region - known worldwide for the prestigious wine – allows you to visit its charming villages such as Gaiole, Radda and Castellina. In this regard, Villa Ambra offers guests the opportunity to visit its cellars with a free tasting of its excellent home-made wines. For sports lovers, we recommend to walk along the charming paths through the woods or reach the polo club and the riding centre (located in the vicinity of the villa). Wellness lovers can, instead, take some pleasant and relaxing baths in the hot sulfur springs of Rapolano Terme (16 km). Lastly, if you love shopping, we suggest to visit The Valdichiana Village Outlet (35 km), where you can find the most important brands of international fashion. 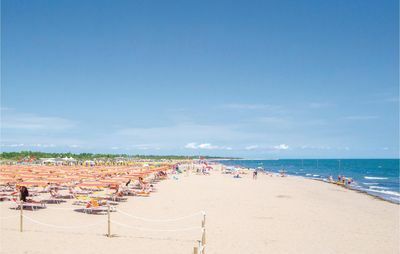 Bucine (15 km), Rapolano Terme (16 km), Siena (32 km), Arezzo (40 km), Gaiole in Chianti (45 km), Florence (75 km), Pisa (150 km).